How many times have you been to a wedding bearing a gift and yet there is nobody there to greet you? No one to show you where to go or where to put your gift? Nobody to draw your attention to the seating plan, or even have the management bring you a high chair for your child? You will have no such problems when you have Reuben as your Toastmaster. 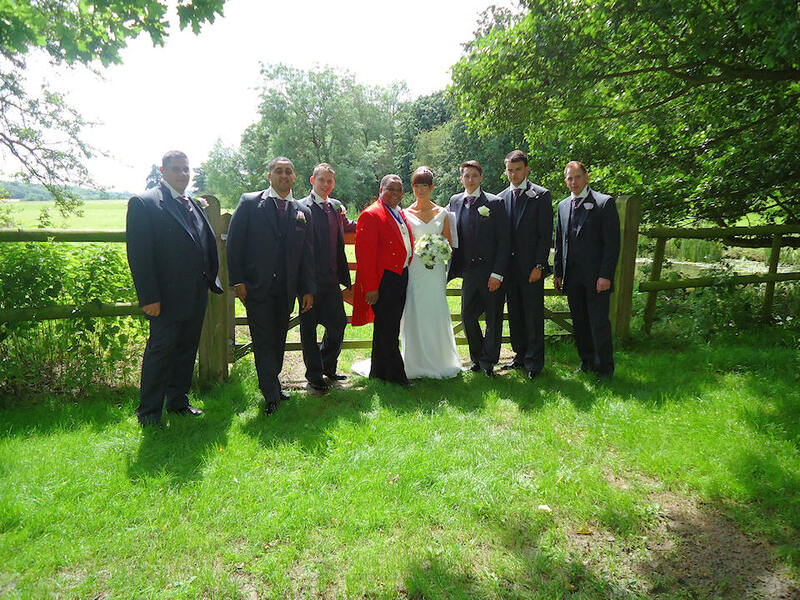 Reuben is an experienced wedding co-ordinator, and when you book him for your wedding he will visit you in the comfort of your own home, or at a venue of your choice. He will be delighted to guide you through the etiquette, sequences and procedures of the wedding, be it a church or civil ceremony. The length of various ceremonies. The speeches: he will assist you in the composition of your speech. The deployment of photographers and video. The entertainment best suited to your type of wedding reception. Reception drinks: type and amounts. 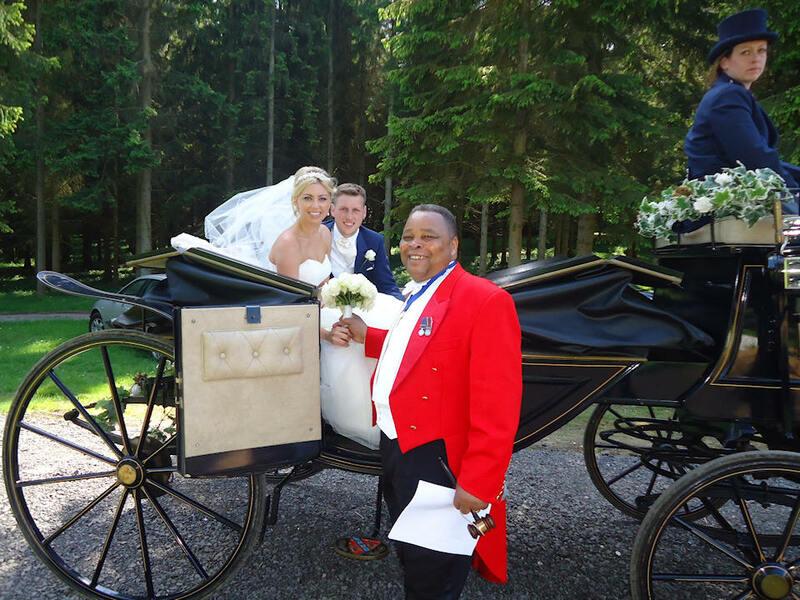 One visit from Reuben will put your mind at ease, knowing that you have someone with knowledge, confidence and expertise looking after you, your family and your guests on the day. Whether you have a church wedding or a civil ceremony, Reuben will arrive at the venue at least one hour prior to the start of the ceremony. He will liaise with the management smoothing the path, paying attention to detail and so ensuring your piece of mind and the enjoyments of your guests. After the photographs, he will put the receiving line into operation. When all the guests are through, he will announce the Bride and Bridegroom into the suite and announce the grace or, if you so wish, say it for you. Later, Reuben will announce the cutting of the cake, the speeches, and conclude the formal part of the wedding breakfast. More and more people are now hiring Reuben’s services for the evening reception; seeing the whole wedding through, welcoming your evening guests, announcing the first dance and, of course, the buffet. Reuben really will take the worry out of your day. 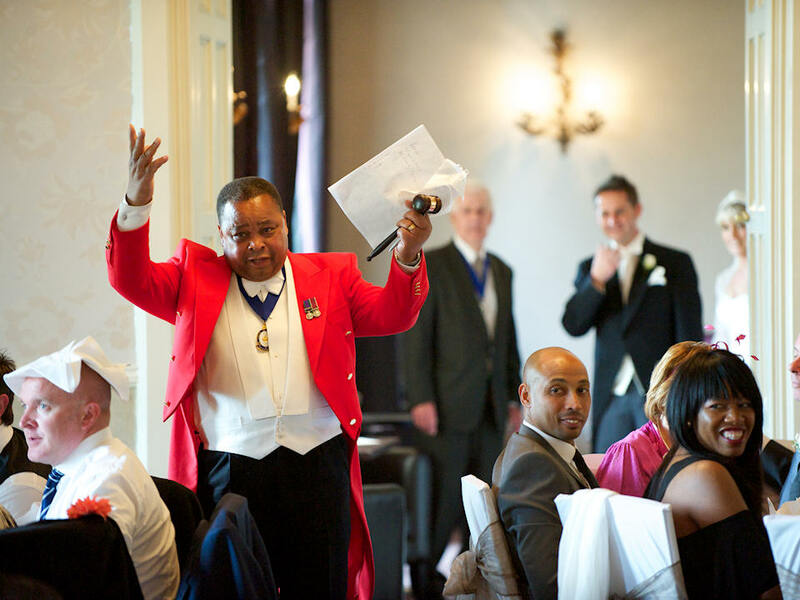 When you are spending so much on your wedding can you really afford not to have the services of a Professional Toastmaster? Even the Best Man, apart from making his speech, should be able to sit back, relax, and enjoy the day. 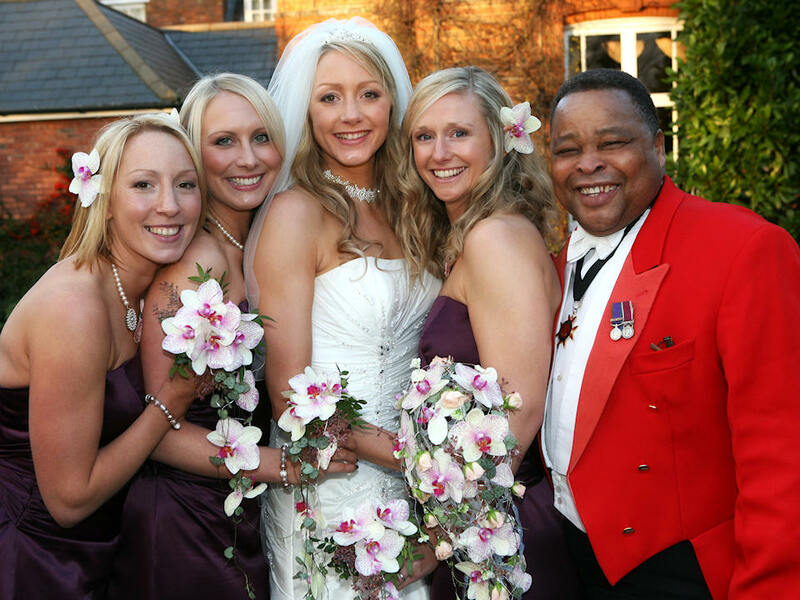 Engage the services of a good, professional Toastmaster to ensure everything runs smoothly, allowing the Bridal Party, their family and friends to sit back, relax, and enjoy the day to the full. Why not give Reuben a call now? You will enjoy talking with him, and you will be delighted to have him on hand before, and during your wedding day. You know it makes sense! Tayla and Daniel’s Wedding Film – Walton Hall, Warwickshire. Filming by Perfect Moment Films. See more photographs of Reuben on the Gallery page.